You work Hard for your Vacation. Don’t pay extra fees! When you book directly with Martha Murray Vacation Rentals, you guarantee custom Cape Cod service and the lowest rates possible. We manage all of our vacation homes with personal care and our local rental agents know Cape Cod’s vacation rental market inventory better than anyone. No matter what size group you’re traveling with, we’ll work hard to find you the perfect home on the Cape at the best price. 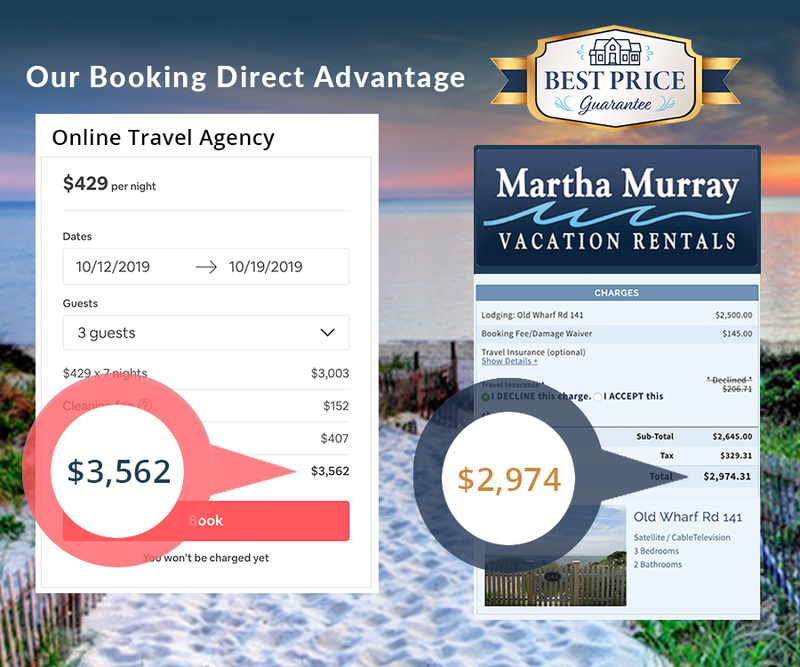 Enjoy the Benefits of Booking Directly with Martha Murray! Skip the hours of searching third party sites and contact us directly instead. We’ll customize your search to suit your needs. To find the best rental for your vacation, we will listen to your requests and narrow down your search to exactly what you are looking for. Our local rental agents have in-depth knowledge of the Cape Cod’s beach towns and property in our inventory. If we can’t answer your question right away, we will drive to the property to find the answers. Our Special deals are only found and available through our Martha Murray Vacation Rental website. During business hours, we’re on call to meet your needs. Check WiFi, cable, plumbing, and any maintenance issues that arrive. When you book through our website, we quote you with taxes and fees upfront. Online travel websites, such as Airbnb, will charge you extra fees with no additional services. Martha Murray Vacation Rentals is in the Cape Cod vacation rental business to make memories. We care about your experience. Our excellence in customer service extends to our Rental Agents trying to get you the best price possible for your rental.